“Sharp “Konkola Blades ended their four-year Barclays Cup semifinal absence after a 2-0 win over Nakambala Leopards at Arthur Davies Stadium in Kitwe on saturday. Frank Mulambo scored a first minute own-goal to give Blades the lead before Graven Chitalu made sure of Blades first last four appearance since 2007 with the second goal in the 75th minute.POWER 7- LUENA BUFFALOES 0Power Dynamos cruised to the semifinals of this year’s Barclays Cup after a white wash baptism of FAZ/ MTN Division 1 South side Luena Buffaloes boys 7-0 at Arthur Davies Stadium in Kitwe on Saturday. Power Dynamos` Luka Lungu scored a hat-trick as the 2009 Barclays Cup champions hurtled to their fourth successive Barclays Cup semifinal appearance.Lungu scored his goals in the 3rd, 9th and 55th minutes respectively to bring a wide cut smile to his technical bench . Defender Govender Simwala scored a rare goal with Power’s third of the match in the 33rd minute before Gift Wamundila turned the ball into his own net in the 44th minute.Simon Bwalya made it 6-0 a minute before fulltime before Felix Nyaende completed the rout on the death.ZANACO 0- NKANA 2Eleven Time Champion Nkana will be making their first Barclays Cup semifinal appearance after beating 2010 runners-up the “Bankers” Zanaco 2-0 away at Nkoloma Stadium in Lusaka on Saturday.A brace from Evans Kangwa in the 48th and 89th minutes, the latter from a penalty he won, handed Nkana a deserved victory over the bankers. This win is Nkana’s first competitive victory over Zanaco this season after losing and drawing with The Bankers in the league.RED ARROWS 2- INDENI 0Red Arrows are the only Midlands side still standing in this year’s Barclays Cup after beating promotion chasing Division 1 North club Indeni 2-0 at Nkoloma.A brace by their impressive midfielder Mwape Mwelwa with a strike in the 5th minute and a 49th minute free kick secured Arrows semifinal place.ZANACO AND NKANA TO DO BATTLE IN THE RICH BARCLAYS CUP By Kapata Norman BARCLAYS Bank (Zambia) Limited has pumped K500 million in this year’s Barclays Cup tournament, which kicks off on October 22. And last year’s finalists Zanaco have been drawn against sworn rivals Nkana in the quarter-finals of the competition while defending champions Zesco United will not participate after failing to make the cut. Barclays Bank Managing Director Savior Chibiya announced at Football House on October 18 that his bank has pumped K500 million in the competition. Chibiya said the winners of the competition will get K150 million while the runners up will be given K75 million. There is no increment from last year’s prize but the bank has introduced an award for the runners up which was not there. Chibiya said Barclays Bank will also reward coach of the tournament with K10 million while K5 million has been reserved for the best player of the tournament. He said the financial institution heard the cries of the clubs and decided to introduce an award for the runners-up. Last year, the bank staked a winner-takes-it-all award of K150 million which Zesco United got after defeating bitter rivals Zanaco in the final match. 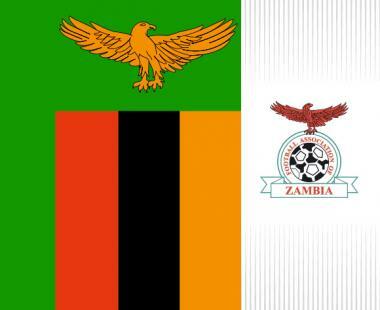 The Bank`s MD says his firm recognises football as a unifying and influential tool in keeping the youths away from negative vices by providing healthy lifestyle alternative and is pleased to support Government’s efforts in reviving Zambian football, advancing it to the high levels it enjoyed in the past and restoring source of national pride to the Country. He said the sponsorship of the Barclays Cup is one way of paying back to the community in which the bank operates. He said knock out competitions like the Barclays Cup give players mental strength to handle the pressure that comes with big tournaments like the Africa Cup. Chibiya said Barclays Bank is proud to partner with the Football Association of Zambia (FAZ) in promoting football in the Country. He thanked FAZ for allowing his bank to be the sponsors of the Barclays Cup and he was confident that the relationship between the two organisations will continue and be beneficial to everyone. He said Barclays Bank’s commitment to supporting football can be seen through its huge sponsorship of the English Premier League. And FAZ Executive Committee Member Macha Chilemena said FAZ is grateful to Barclays Bank for financing the development of Zambian football. Chilemena said the sponsorship of Barclays Cup will greatly benefit hundreds of Zambian footballers who will take advantage of the competition to expose their talents. “Sharp” Konkola Blades have been pitted against “the sweet sugar boys” Nakambala Leopards. The quarter final matches will be played at two venues. Power Dynamos and Luena Buffaloes will play their game at Arthur Davies Stadium at 13:00 hours to be followed by the game between Konkola Blades and Nakambala Leopards at 15:00 hours. The game between Red Arrows and Indeni will kick-off at 13:00 hours at Nkoloma Stadium while “the Bankers” Zanaco and Nkana will enter the pitch at 15:00 hours in what is expected to be the match of the day. Football Association of Zambia (FAZ) communications Manager Erick Mwanza said champions Zesco could not make the cut because they were in the seventh position on the MTN Super Division league as at Week 15.